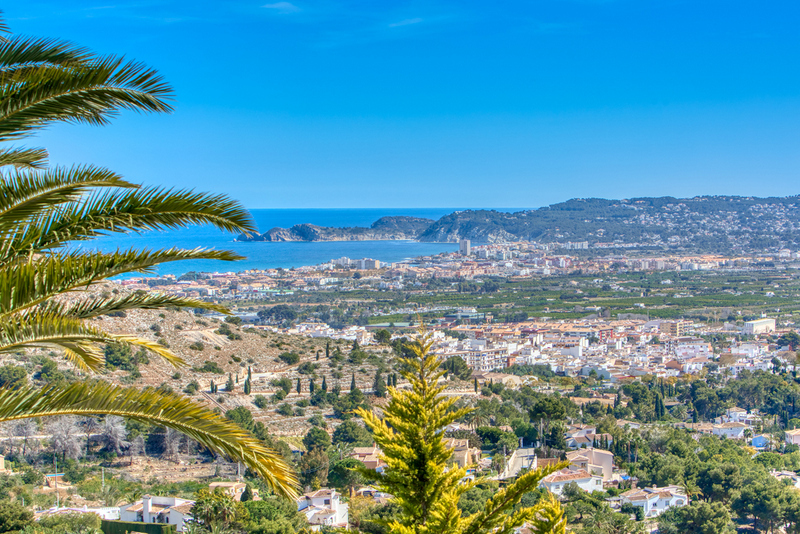 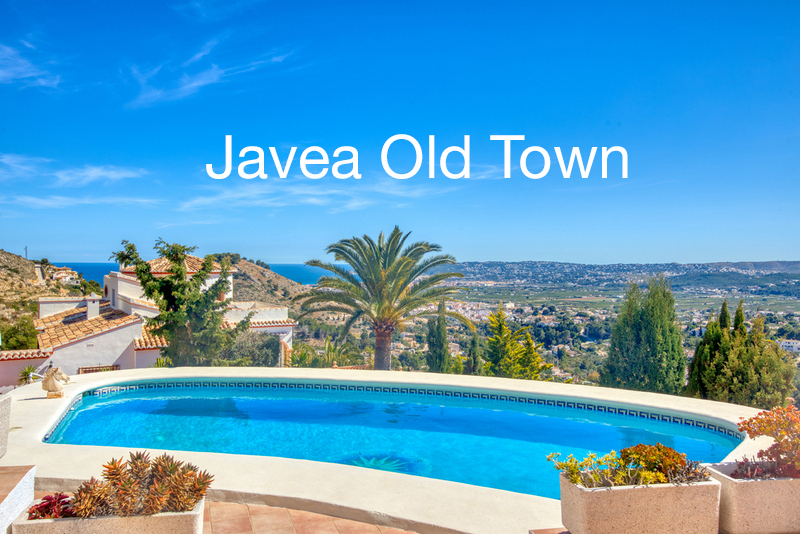 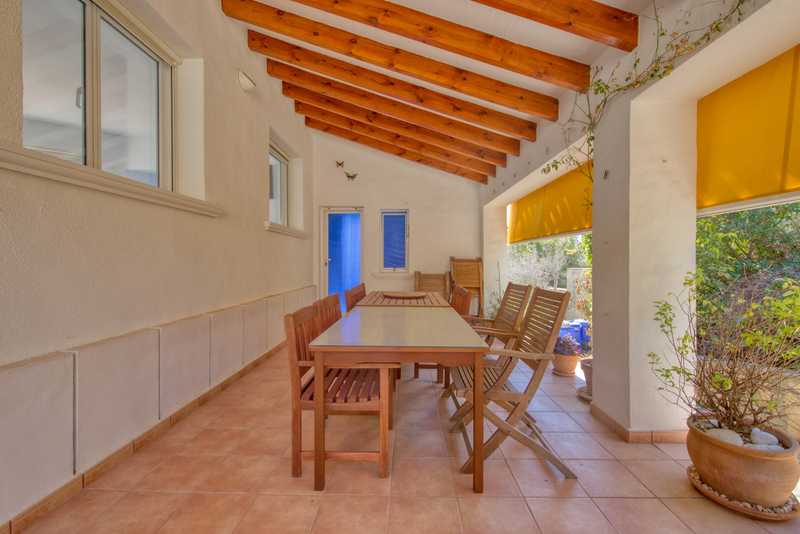 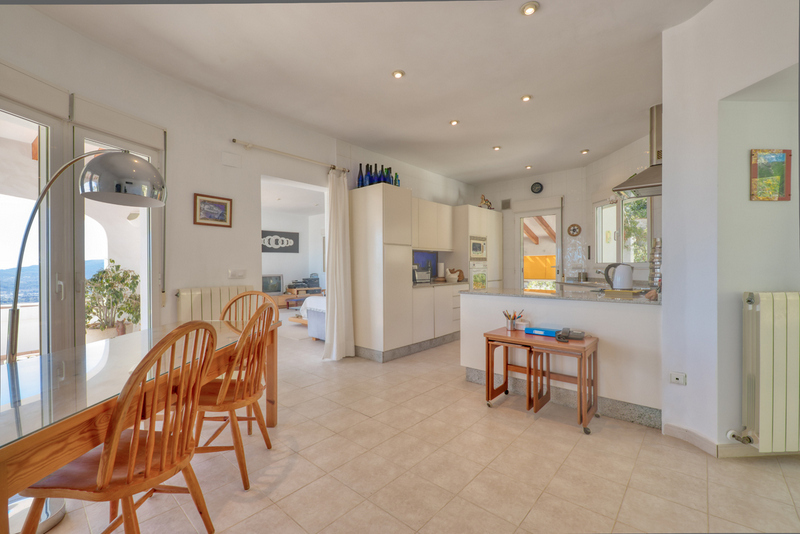 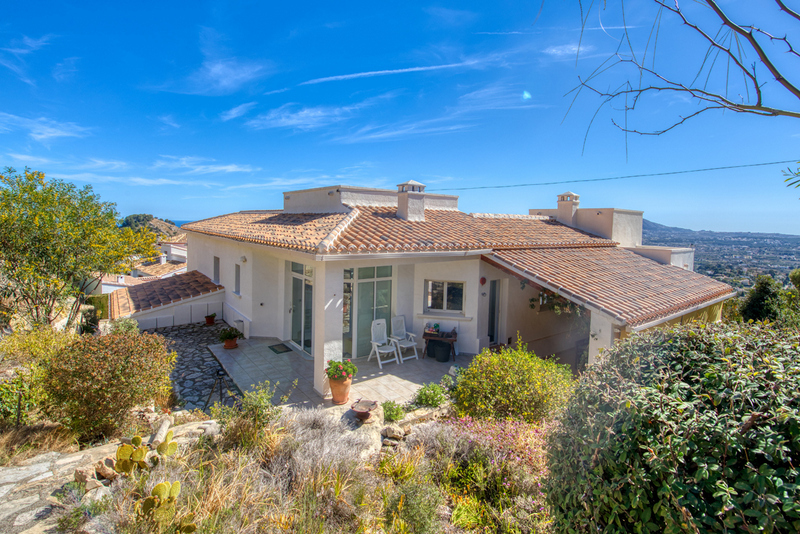 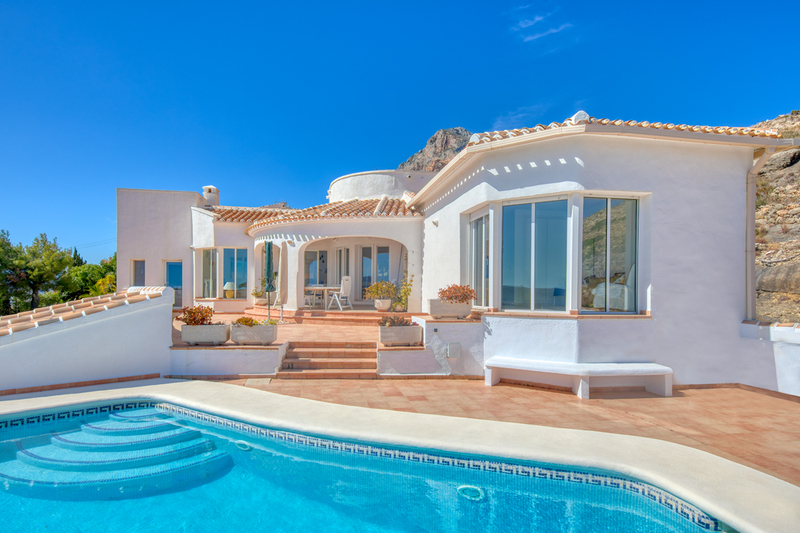 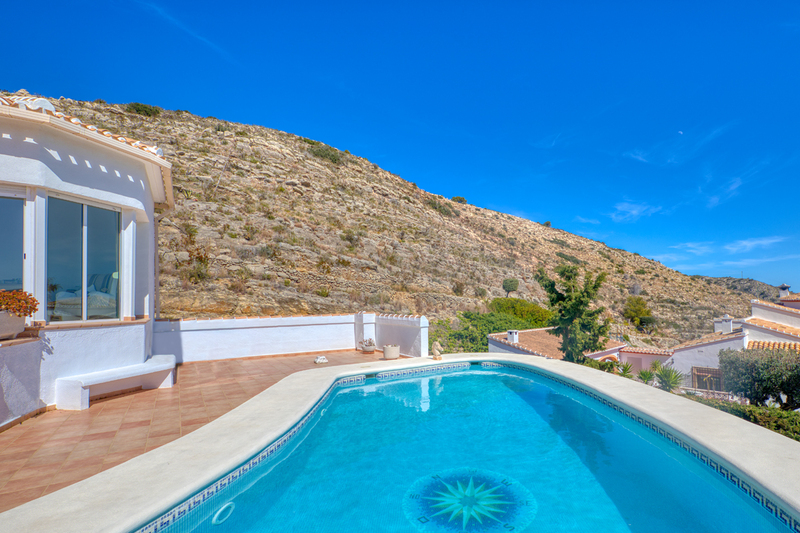 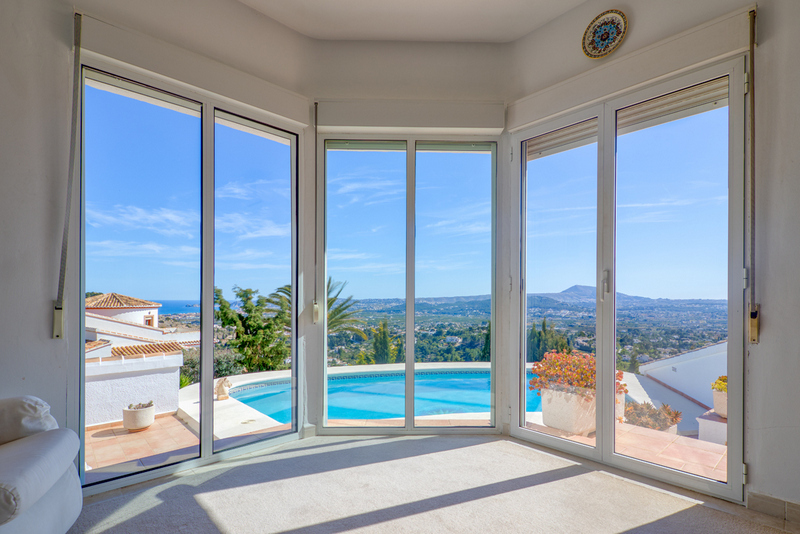 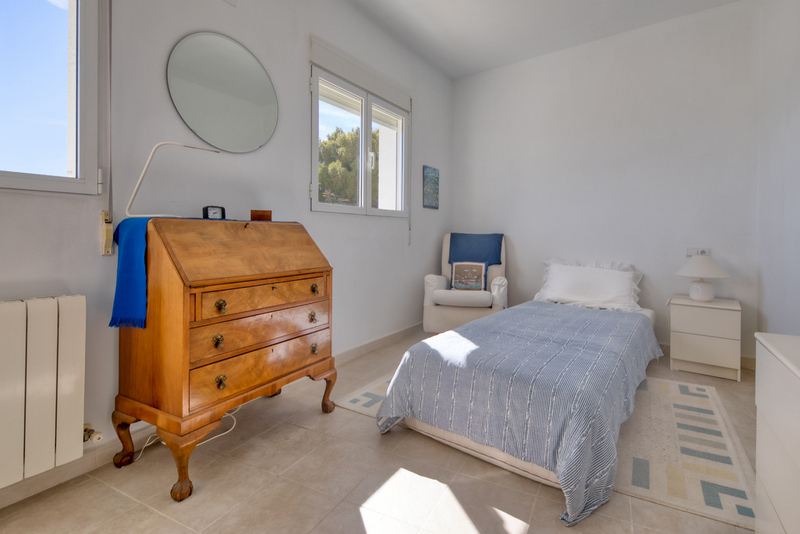 Javea Old town villa for sale with sea views and the most spectacular and panoramic views. 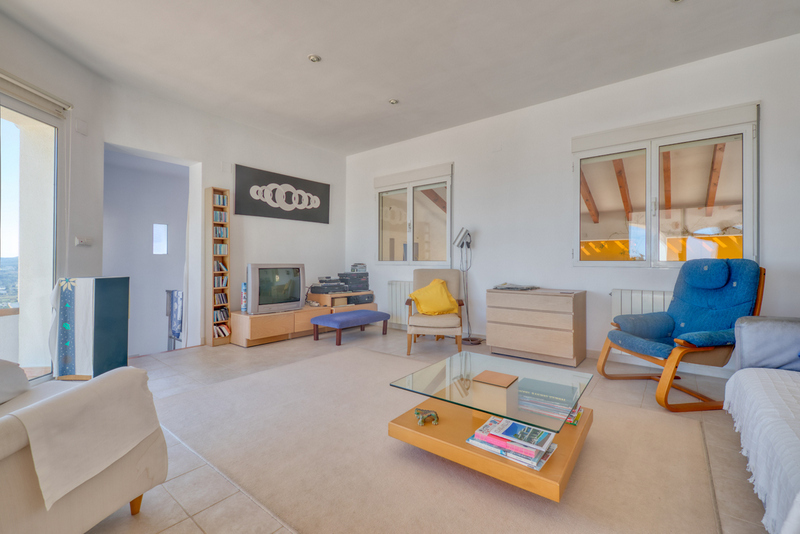 This modern property is on 2 levels with every room on each level designed to enjoy the wonderful view. 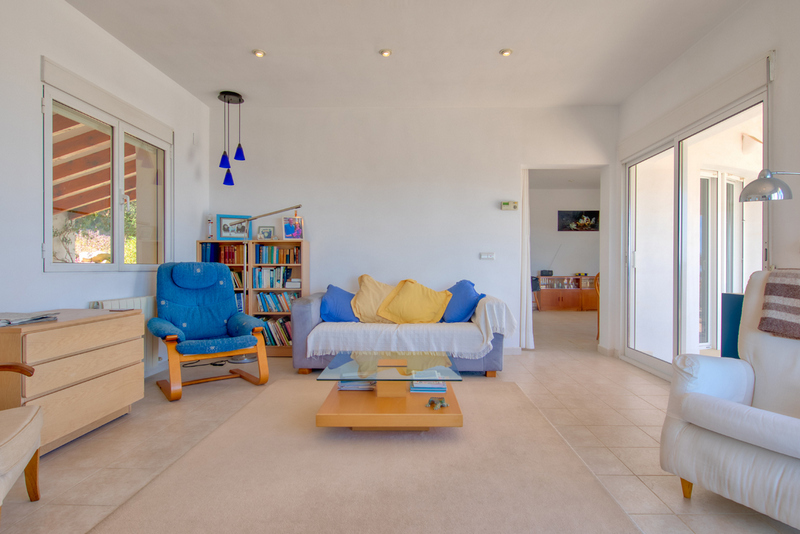 An entrance hall with guest cloakroom leads into the open plan kitchen/dining room. 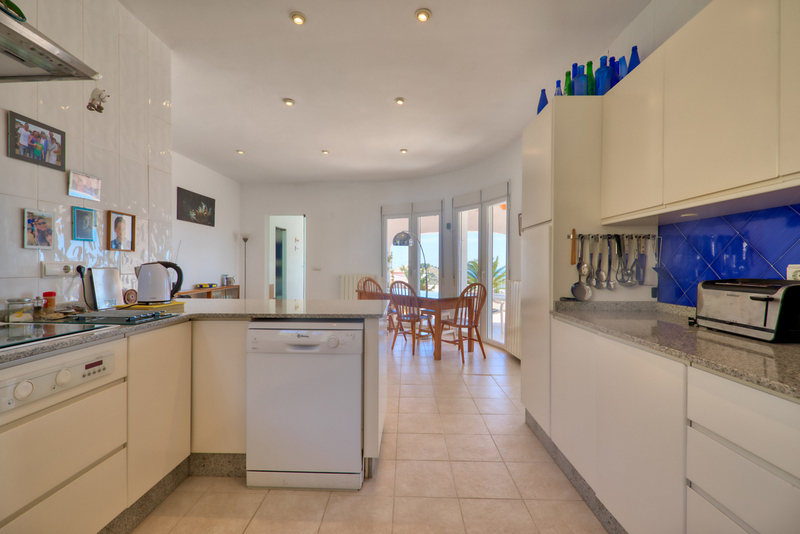 A door from the kitchen leads to a rear terrace and utility room and from the dining area to a covered terrace (naya) and the pool deck. 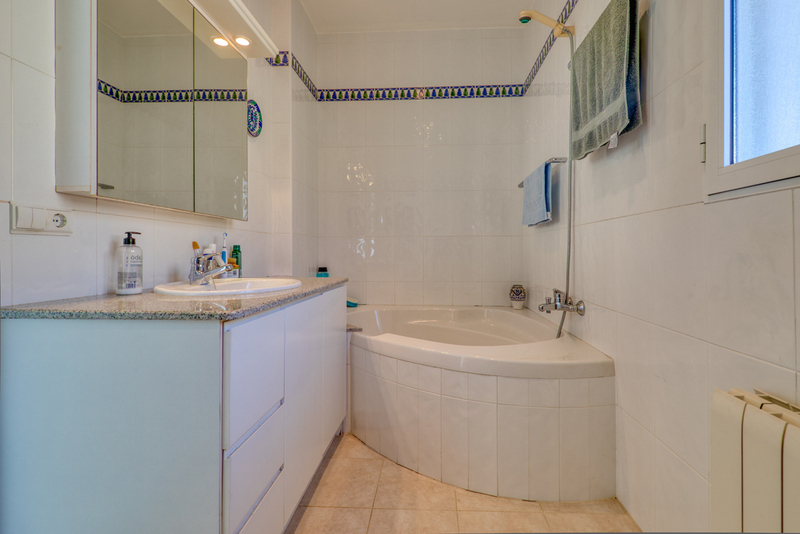 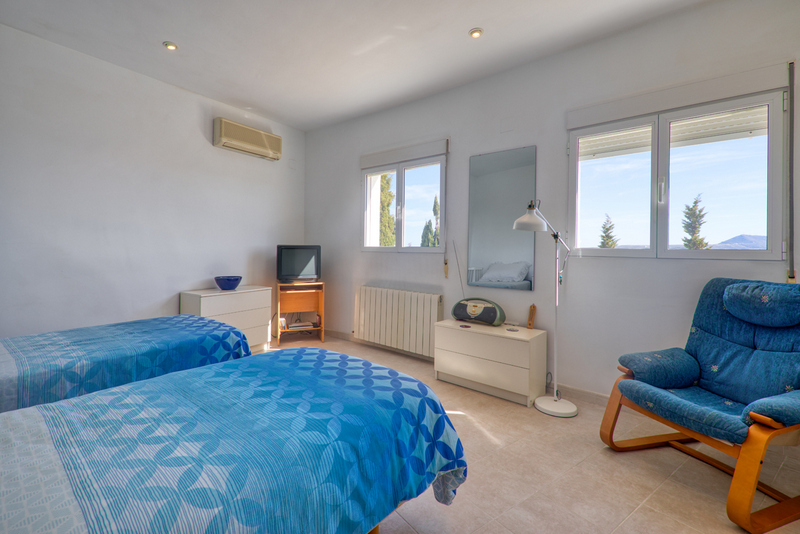 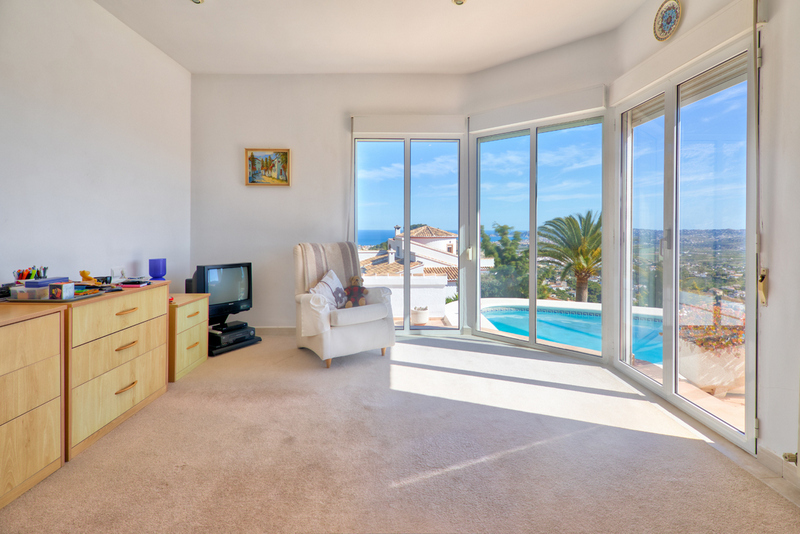 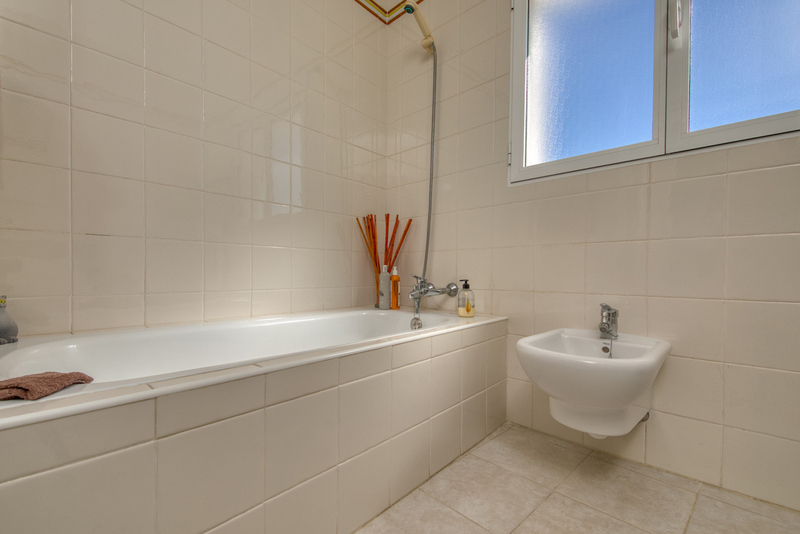 There is a generous master bedroom with ensuite and luminous sitting room, both having access to the outside terraces. 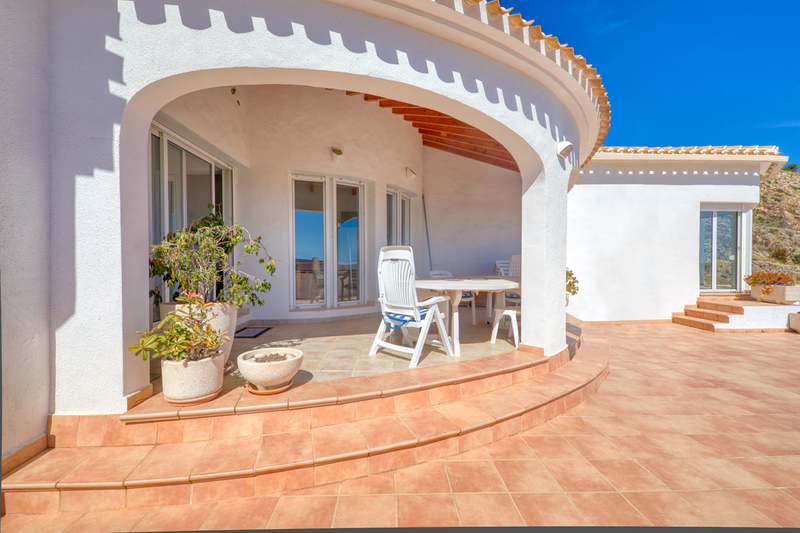 A staircase leads to the lower floor where there are 2 double bedrooms, bathroom, office, a large storeroom/games room and a workshop. 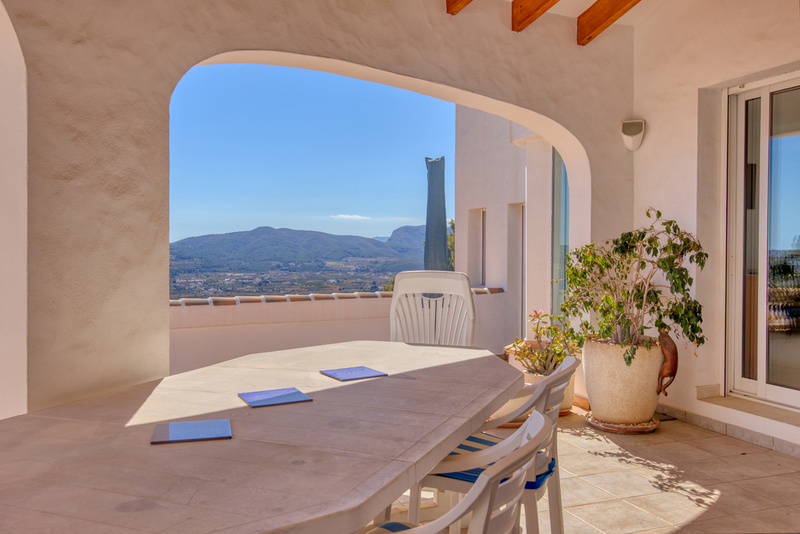 Outside from the naya and pool terrace the views are truly breathtaking, across the countryside to the Sierra Bernia mountains and down to the Bay of Javea and the mediterranean sea. 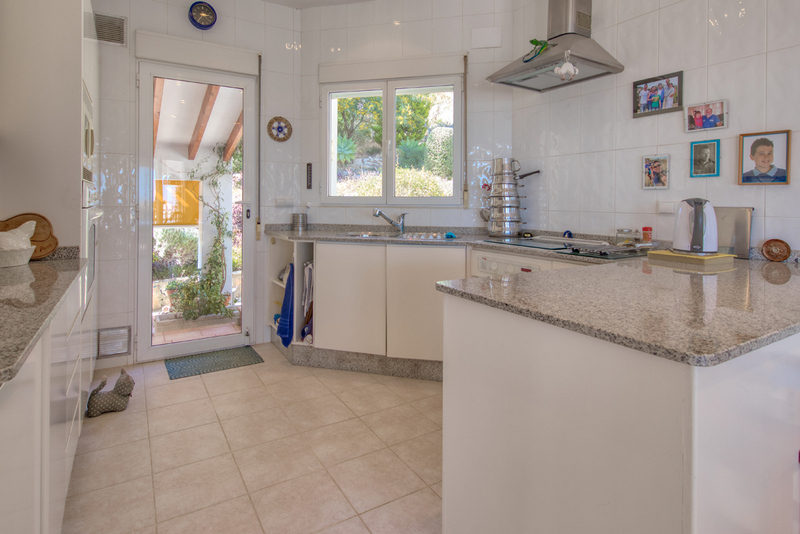 The property benefits from a mature but low maintenance garden, aluminium double glazing with mosquito screens and blinds, gas central heating and air conditioning.